Hey y’all! Now that we have an idea in mind for what we’d like our wardrobes to hold, it’s time to evaluate what we already have so we can identify gaps. My sisters and I keep our off-season shirts on a high shelf in our closet and over the winter it got a little disheveled. Quality– Pit discoloration? Pilling? Stains? Not worth wearing. Fit– Why wear something you don’t feel great in? The older I get, the more picky I’m getting about right fit. Color– As much as I love red and white stripes, I just don’t wear them because red is too bright on me. Coming to terms with that helped clear my wardrobe of unworn-but-maybe-someday items. 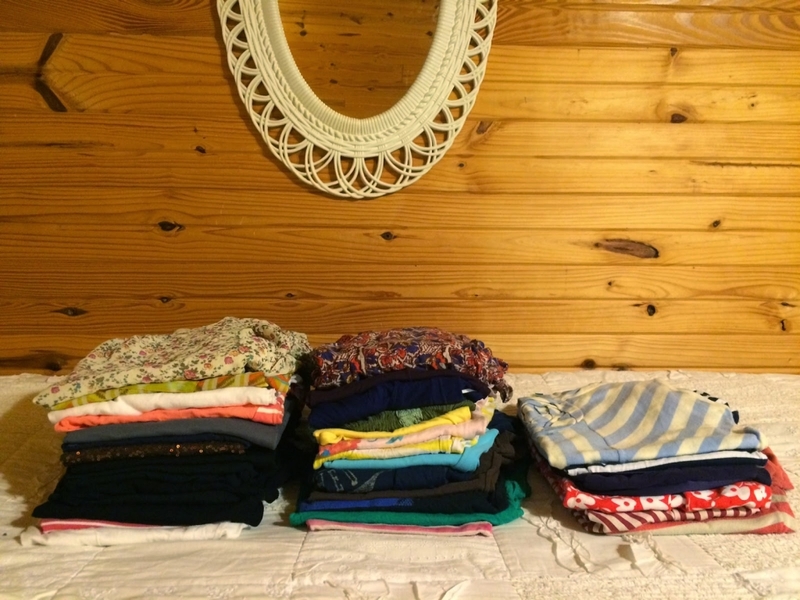 That left me with three stacks of shirts: Nice/ church shirts, casual/okay shirts, and to alter/make a pattern from. Of all these shirts, I only love about 4 of them and none of those 4 look good with skirts. No wonder I’ve had a hard time getting myself to wear skirts lately! And somehow, I have 6 nice black short sleeved shirts. So, after looking through my closet, what gaps (needs and just wants ;)) do I see? Old Navy Gingham top… not exactly what I was looking for, but I’ve been wanting to try out orange so I picked it up for $7.50. 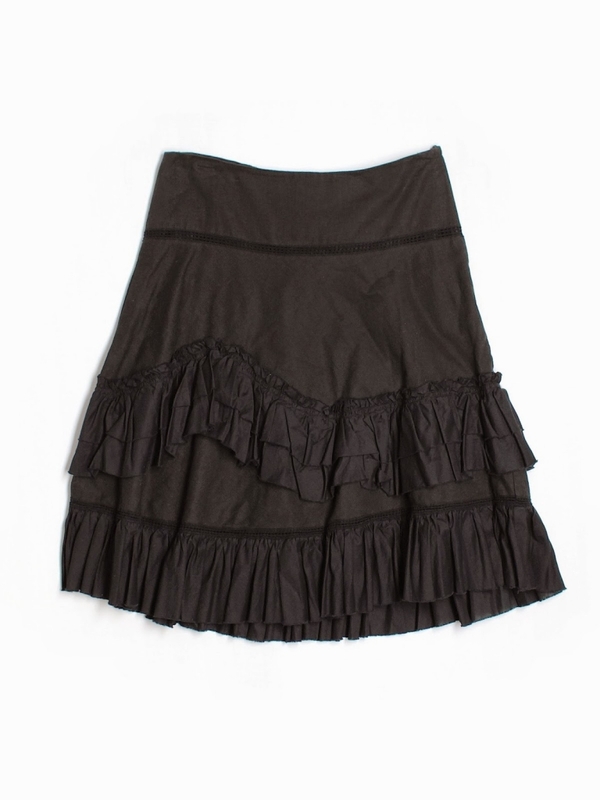 Short black skirt… Check! Just what I was looking for. Hope it fits. 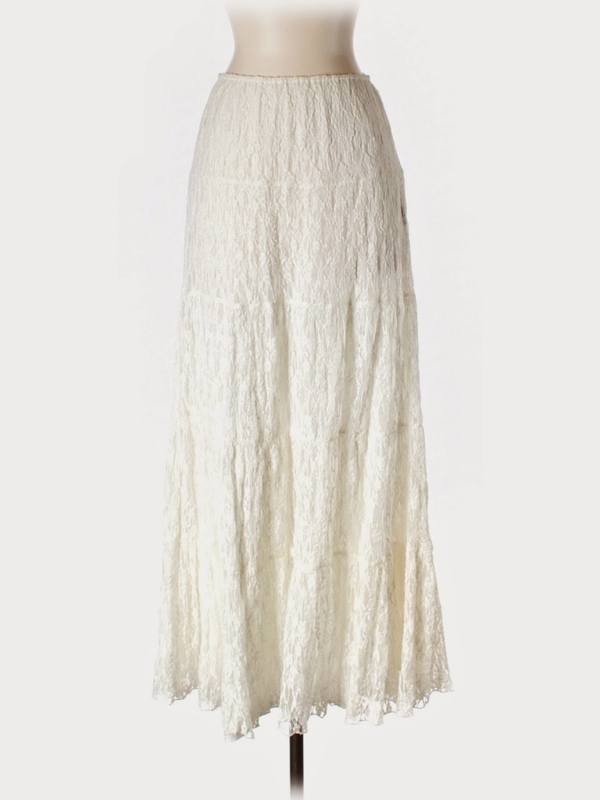 Long white skirt… hoping it will work for church! 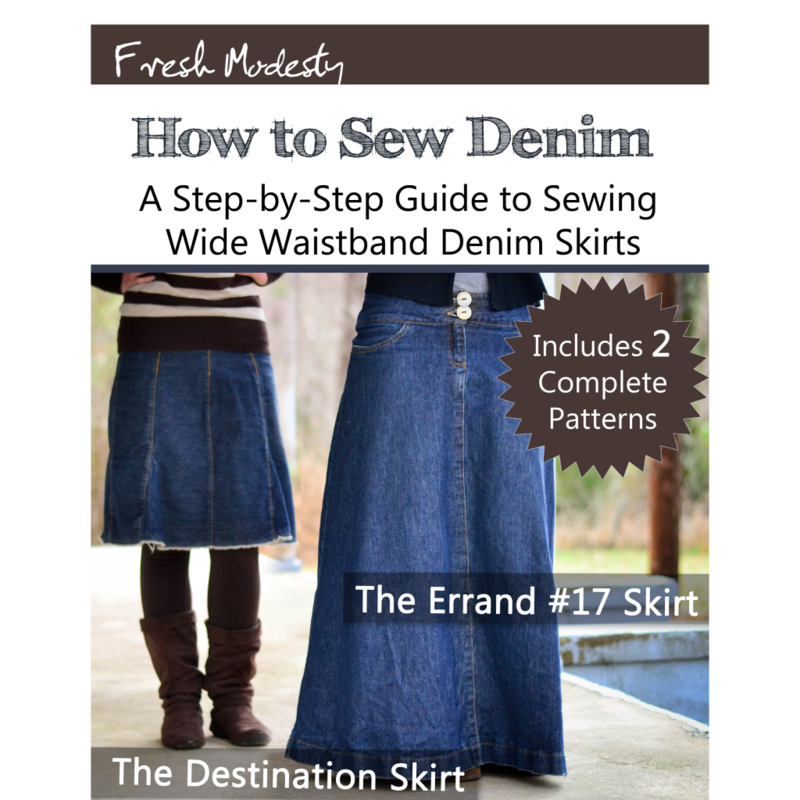 I already have a long white skirt, but it’s too casual to make a church staple. 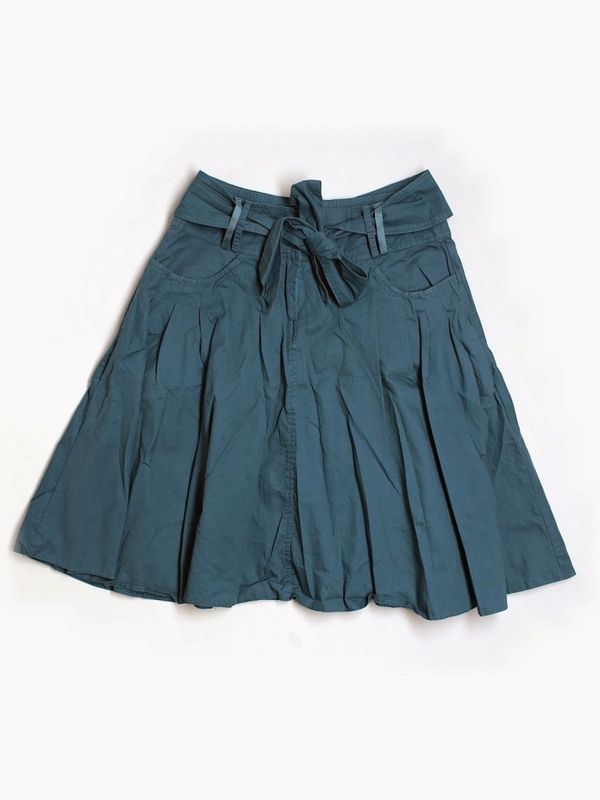 Short casual skirt with pockets… Check! Hoping this style is flattering on me. Need to look for tops to match. 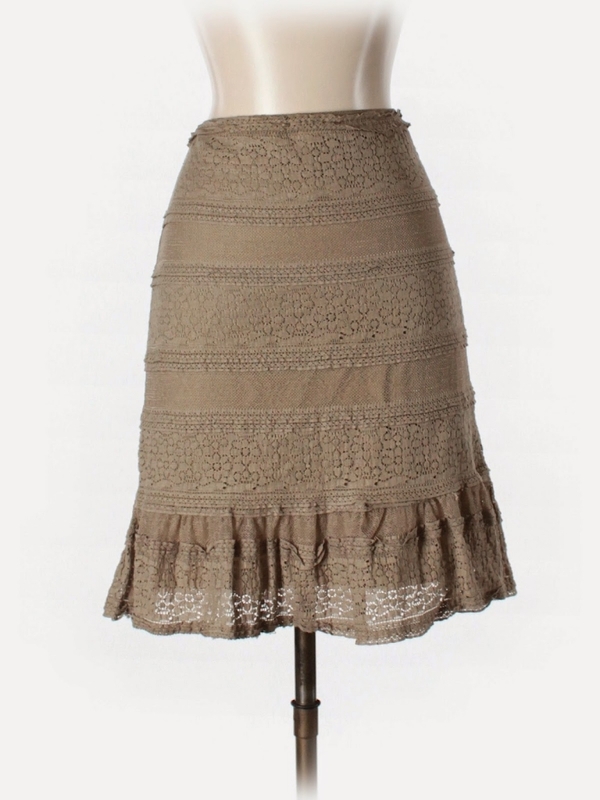 Shorter pretty taupe skirt… not on my list, but in the back of my mind I’ve wanted to try the “natural colors/slight military” style, and I think this might be a good way to do that femininely. 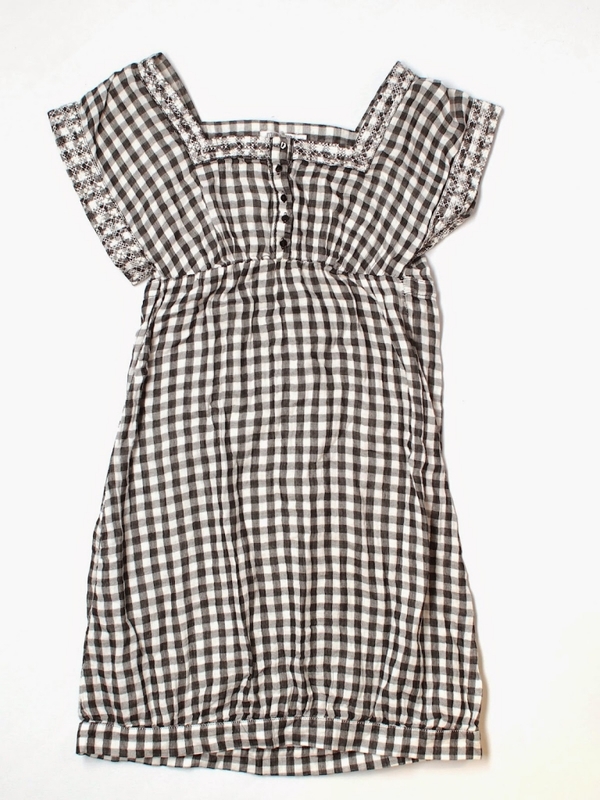 Gingham tunic… although I’ll still be looking for a gingham button up, I couldn’t pass up this tunic! I think it’ll work with white and blue jeans. As I went thrift shopping, I took the above list with me. But, as we all know, it can be really challenging to find what you have in mind in the stores, so I try to keep a super open mind. As nice as it is to have this grand vision of gorgeous wardrobes, we need to be practical and work within the parameters we are given. I find challenges to actually be the best way for me to be creative! What are some items you’re looking to incorporate into your spring wardrobe? You laid this all out really well! I desperately need to go shopping! I finally realized that I only have a few shirts that I can wear out and no casual skirts for going out! Time to hit the thrift shops! It's coming into Winter here in New Zealand, so I'm doing the opposite. I have just bought some properly fitting, work worthy drill jeans that aren't blue – dark grape / mulberry, burnt orangey rust and gray. These all work with black boots or Mary Janes and block or patterned tops of any colour. The secret is to evaluate the fit before you buy – I'm old enough to realise that "close enough" is not good enough! 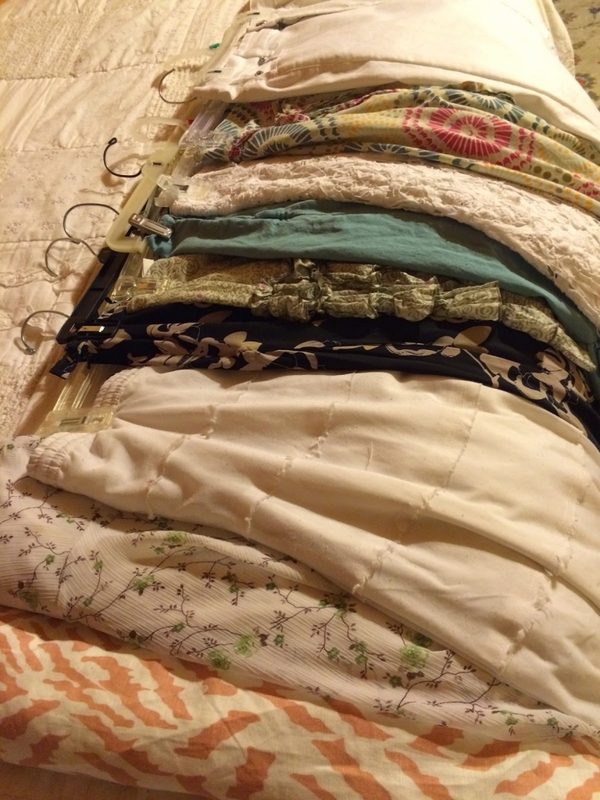 This was a really neat post; I like your organization method to reevaluating your wardrobe (something that I'm about to tackle). I'm especially looking for some pretty, spring maxi dresses, but mostly some new, cute (and not too terribly expensive) maternity clothes. Great post! I am about to have a baby, so I need to get a few nice springy/summery postpartum shirts that will look nice with the skirts I have. I really love colors like Coral, and royal blue, and purple. I keep looking on Thred Up, and have found some good options, just need to jump in and buy! Love these posts! I love the white lace skirt you found! I have a similar one! This is so awesome! I recently went through all my clothes and gave away the pieces that I hadn't been wearing…but I did not go through and find all the gaps and overabundance in my wardrobe. That is such a great idea! I tend to like bright, multi-color prints and sometimes those are hard to match. Or I end up wearing the same skirt/shirt with them every time I wear them. 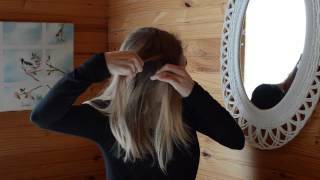 ThredUP is amazing! And dangerous 😀 I find so many things I like on there. 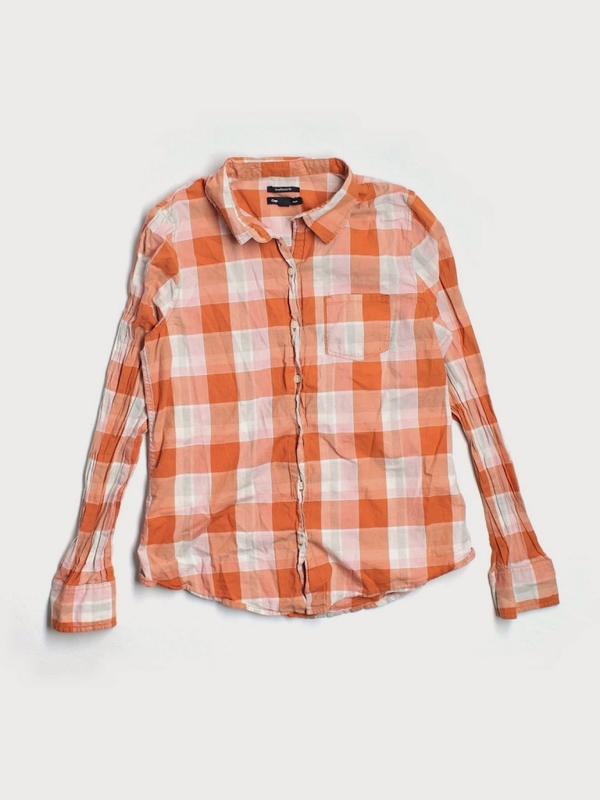 The orange plaid shirt you bought on there is so cute! Boy you've really thought this out. 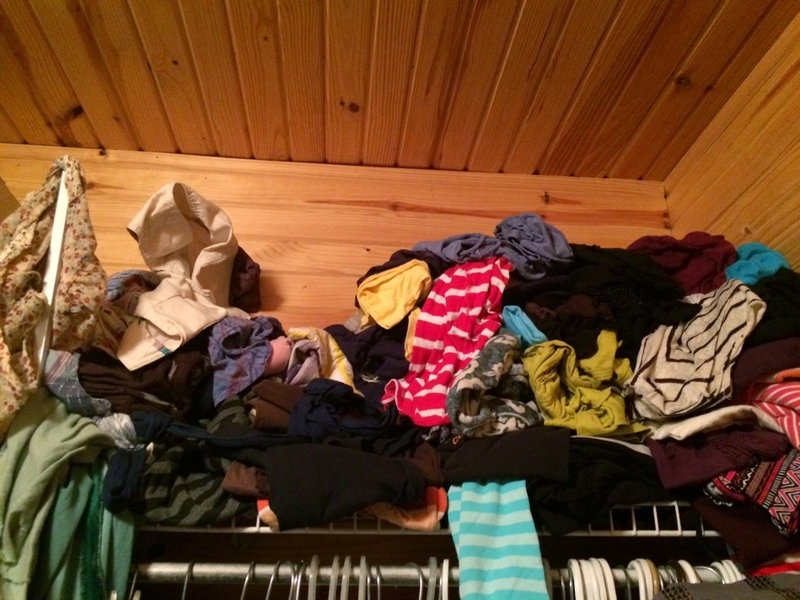 Every April or so, I go through the same process, but it usually boils down to: "I need more clothes!" "What do you need?" "I have no idea!" My go-to outfit this spring has been jeans, a linen blouse, and cotton/silk cardigan, and I've been wearing it every chance I get. One of my goals this year is to incorporate more natural fibers into my closet and get rid of a lot of the polyester and rayon and the like. So unfortunately I think my spring wardrobe building is going to take a lot more time than I like to consider. I recently went through my closet and tried everything on! If it wasn't comfortable or fit just right, I needed to make a decision. Many items went in a bag for charity. One thing I discovered was that by hemming many of my blouses just an inch or two, they looked so much better. Hello Olivia! I am in the middle of purging my closet, and can't wait until it is nice and neat! I was just wondering…could you maybe do a post sometime on how you make patterns from your t-shirts? That would be awesome, I have several ones that have been my favorites, but are now getting worn out:P Thanks! i'm trying a trial of a capsule wardrobe at the moment here in Australia it's fall nearly winter and have sorted mine as one for fall winter and one for spring summer and one for formal dresses and one for work clothes and one for house clothes and PJ's and one for layering clothing that i use all year round like tanks, tees, long sleeved tees, leggings and cardigans separate and like shoes, underwear, accessories ,sport's and swim wear i'm not counting. I'm up to 134 for fall winter that's 67 per season and 130 for summer spring that's 65 per season and 41 for work and 7 for formal dresses and 185 for all my layering, swim , sport clothing and 164 for house and pj's this is a lot then most but i have autism and sensory processing disorder and ehlers danlos syndrome and i need more clothing as some days i can't stand to look at one item and the next its the only thing i can wear. and i have an ocd like ritual due to autism and needing routing that when i go out of the house i wear skirts Monday, Thursday pants Tuesday, Friday and dresses Wednesday and Saturday and on Sunday i have free choice !. so for me this works and this dose not include my jewelry , scarves , hats , gloves and shoes.